On Thursday, February 21st, DriveWorks Technical Specialist, Mike will be sharing his knowledge about automating SOLIDWORKS using DriveWorks. SOLIDWORKS 3D CAD software delivers powerful design functionality with the intuitive SOLIDWORKS user interface to speed up design processes and improve productivity. We’ve been working with SOLIDWORKS for over 15 years and we’re a Certified SOLIDWORKS Gold Partner. The DriveWorks team work closely with customers around the world to see how they use SOLIDWORKS and DriveWorks together. Our software has helped many SOLIDWORKS engineers to automate their design processes to work smarter. During this webinar Mike, a Technical Specialist, will discuss how you can automate more of what you do in SOLIDWORKS using new functionality included in DriveWorks 16. • Photoview 360 (Creating views, camera views and decals in SOLIDWORKS and image sizes). • Model Based Definition (MBD). • SOLIDWORKS CAM (using Automatic Feature Recognition to create G-code). No matter which stage you’re at with your DriveWorks projects, this webinar will be beneficial for you! Some of the design processes Mike will discuss are requirements for a company’s workflow. Automating these processes using DriveWorks can result in less mistakes, speeding up production time and enabling the creation of quality content for use in other departments. 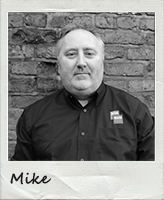 Mike has over 15 years’ experience using SOLIDWORKS and during the webinar he will also give you some tips and tricks for using MBD and Photoview 360. Join Mike to learn more! The webinar will take place at 4pm BST on Thursday, February 21st.